The Waistcoat crochet stitch (also known as the Knit Stitch) is a super sturdy, lovely looking crochet stitch. 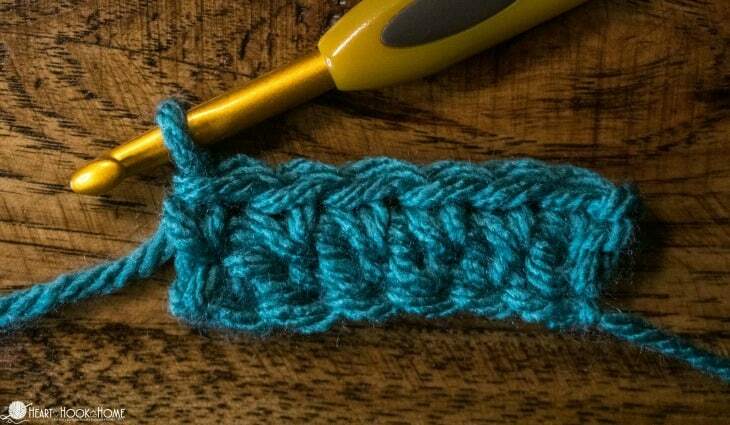 This stitch uses the most basic of crochet stitches: the single crochet! 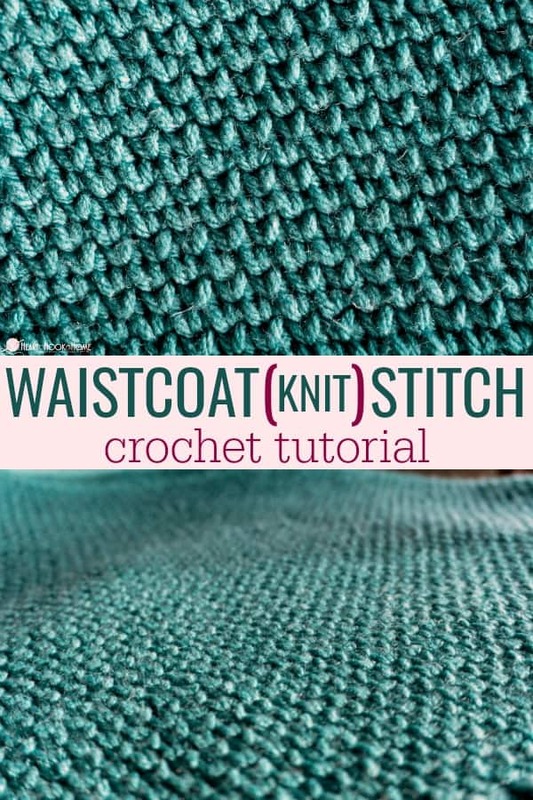 Learn how to crochet the Waistcoat stitch with this tutorial. The Waistcoat stitch looks knit because of the way we form the stitch, but this is where the similarities end. 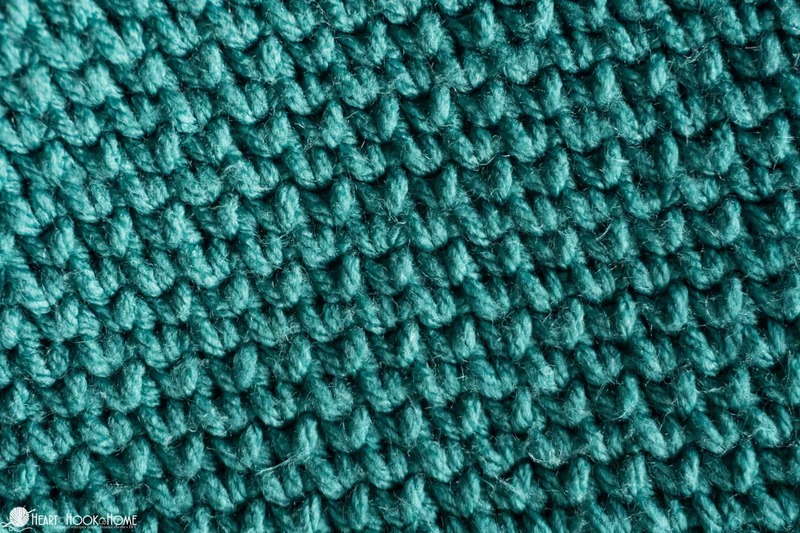 This knit-like stitch can be used when working in the round or back and forth in rows. 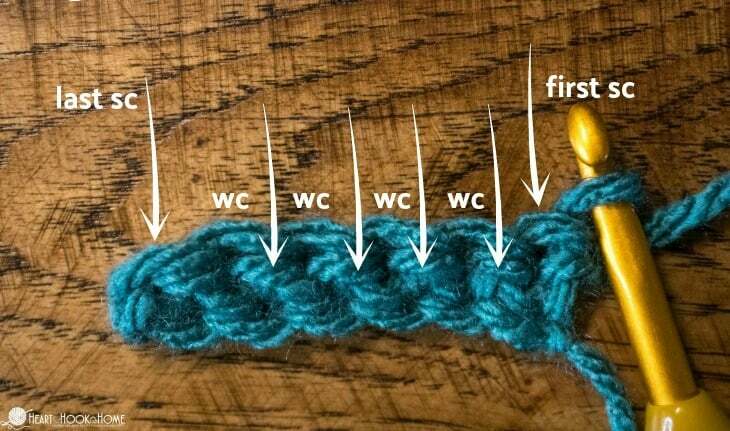 There is only ONE difference between this stitch and the single crochet: where you put your hook. The Waistcoat (aka Knit) stitch is abbreviated as wc in crochet patterns. Find the VIDEO for this tutorial below. 1. Chain any number of chains to start. 2. Single crochet in the second chain from the hook and in each chain to end. 3. Chain one, turn your work. 4. Single crochet in the very first stitch. 5. Going through the post of the next single crochet, make a single crochet. Continue making single crochets going through the posts of the single crochets from the previous row. 6. 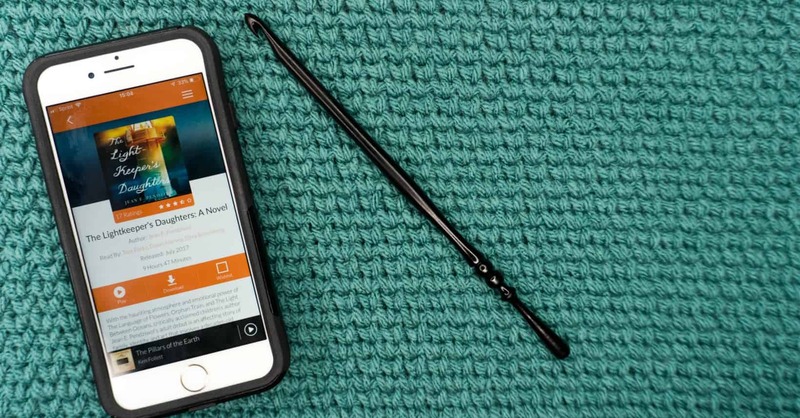 When you reach the end of the row, do a regular single crochet in the last remaining stitch. (Being careful not to add an extra stitch to your count!) Continue adding rows until you reach desired height. 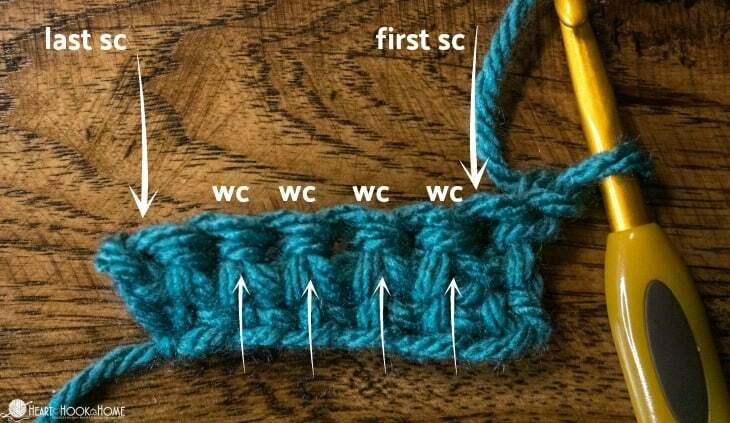 The knit stitch is such a sturdy stitch. 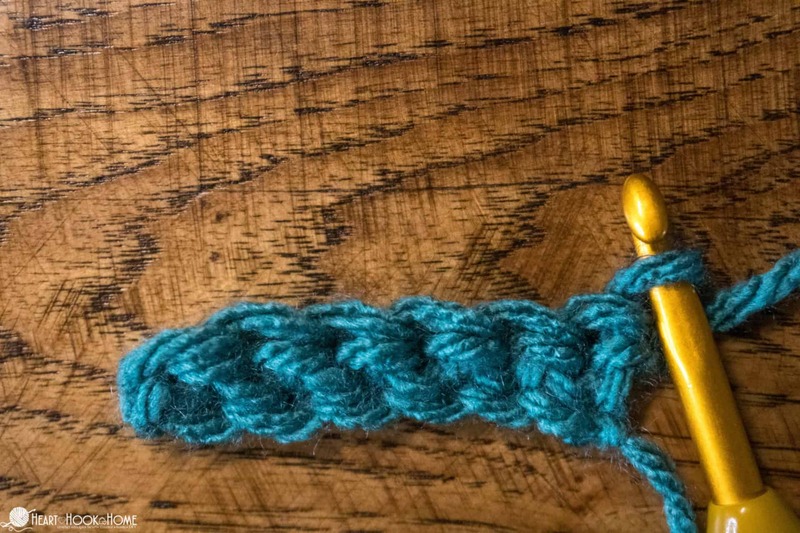 Not only are we using one of the shortest crochet stitches available, the single crochet, but we are also going THROUGH the posts to further anchor them! Now that’s a strong stitch! 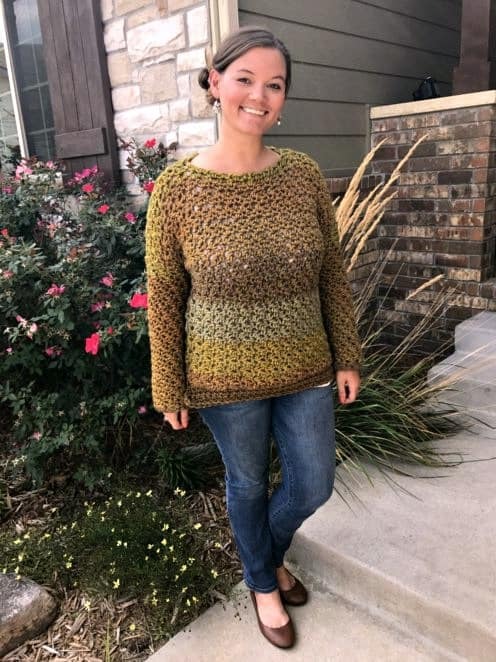 Go up a hook size (or two or three!) from the recommended hook for your yarn. The looser you go the easier it will be to get into that post on the following row. STAY LOOSE!! Even if you do go up a hook size or two, be conscious of how tightly you pull your stitches. Use your pointiest hook! Pointy hooks work better with the waistcoat stitch, so use the pointiest hook you have in that size. I find that the Susan Bates hooks are nice and pointy, as well as Yarnology (the plastic ones like this), and the hooks from Turn of the Century Hooks are nice and pointy – and gorgeous! And that’s it! If you can waistcoat, you can make my NEW hoodie pattern, which I consider to be my masterpiece, the Hibernation Hoodie! I am Just learning how to crochet I figure if I can embroidery, crosstich, needlepoint and latchhook I think I can crochet ant way I hope to learn .